MEK has become the pattern for how other defeated terrorist groupings can be reinvigorated, rebranded and reused. The controversy following the Bulgarian PM’s announcement that “Albania will become a coordination center for fighters returning from ISIS to the Balkans” may die down soon – Prime Minister Rama later dismissed this as fantasy, but he is not convincing. 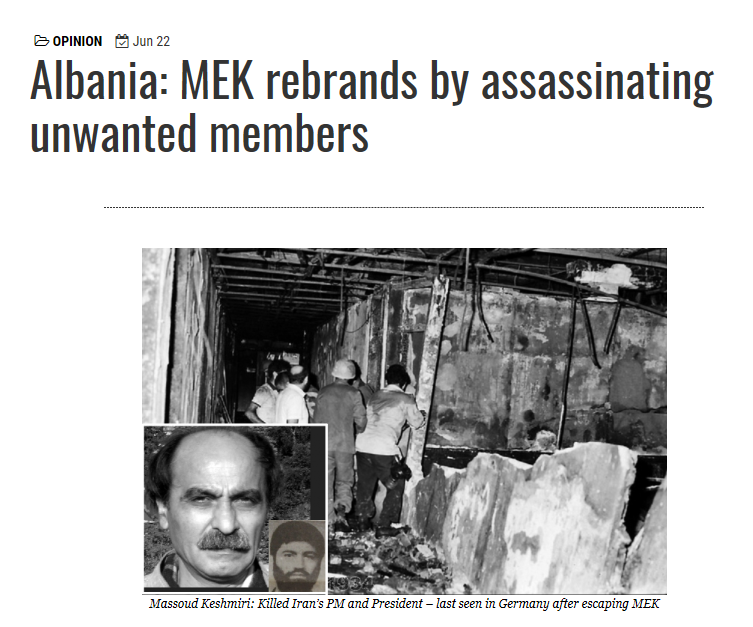 Instead, the history of the MEK in Albania indicates that the same scenario will be repeated. As ISIS fighters arrive and settle, the process will start just as it did with MEK. Expect more mysterious murders, suicides, disappearances, bizarre interventions to prevent investigations. And, of course, the involvement of Albanian citizens, politicians, and personalities for and against. Plus, not only abandoning any hope of joining the EU, but suffering more restrictions on the borders with the EU and Balkan countries. With Trump’s apparent determination to withdraw from the Iran nuclear deal, the Mujahedin Khalq Organization (MKO/MEK/PMOI/ the Cult of Rajavi) has just found more room to move around the US government to launch its anti-Iran lobbying campaign more generously –pushing its paid advocates to run their “war on Iran” agenda. Trump described the nuclear deal as an “embarrassment” to the United States. 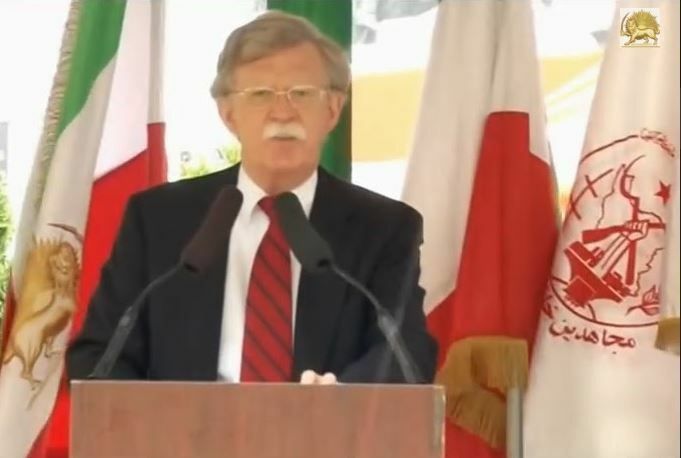 Meanwhile, John Bolton may be the most vocal Iran hawk who addressed the September 20 rally coordinated by the Organization of Iranian-American Communities (OIAC), and members of the MKO, against the visit of Iranian President Hassan Rouhani in New York. 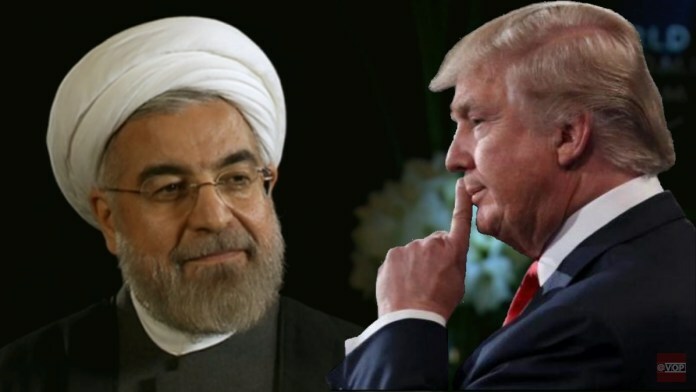 “I think it was a disastrous agreement for the United States to make; harmful to the United States, harmful to its friends and allies, harmful to the people of Iran. The sooner we get out of it, the better,” Bolton told the AP reporter. Probably the most troublesome part of Bolton and other neocons, in the eye of his country-men is his avowed support for regime change and his fondness for the Cult of Rajavi. When he talks about providing “vigorous support” to Iran’s opposition, he is talking about the MKO! Bolton should admit the bitter truth that no credible protesting party inside Iran wants anything to do with U.S. interference in their politics, and they absolutely aren’t interested in regime change. 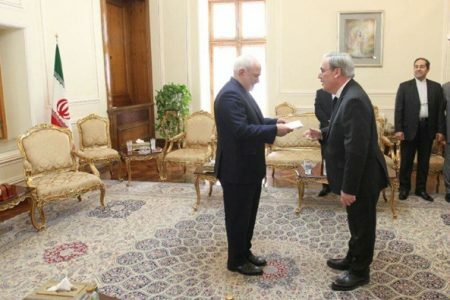 The so-called opposition that Bolton supports is the MKO, which is widely loathed in Iran and doesn’t speak for Iranian protesters of the Tehran government. However, Bolton seems to be blocked, regarding his own testimony in an op-ed where he confessed that he doesn’t have access to the White House. 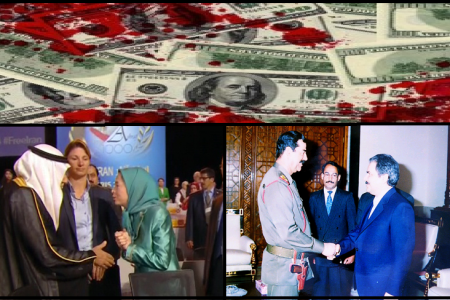 The huge contradiction is that the MKO authorities who invest too much on the role of Bolton-like warmongers, paying large amounts of money for the speaking fees in their rallies and even expenses of the luxurious trips to Paris and Tirana to appear in their propaganda shows, claim that they seek non-violent regime change in Iran! The MKO’s company with US warmongers demonstrates its utmost hypocrisy and corruption. United States involvement in regime change has entailed both overt and covert actions aimed at altering, replacing, or preserving foreign governments. 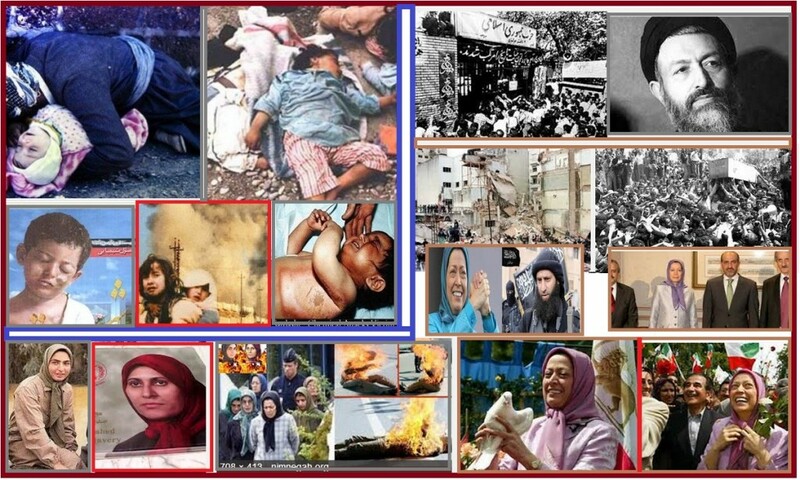 Seemingly, regime change has been the cause not the consequence of a large number of wars. Regime change invasions have caused practically more death, destruction and suffering than the idiotic “war on terror”. Iranians inside and outside Iran hardly ever advocate for regime change witnessing the destruction of Afghanistan, Iraq, Libya, Egypt and Syria. 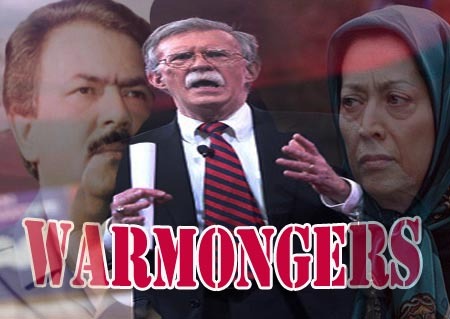 How could the Mujahedin Khalq Organization (the MKO/MEK/PMOI/the Cult of Rajavi) claim that it is seeking “regime change by the people” rather than “regime change by war”? In addition to the MKO, there are certain regime change activists in the US administration not in the people of Iran. Neo-cons like Senator John McCain who advocate for regime change wars in the Middle East are coincidently advocates of the MKO too. 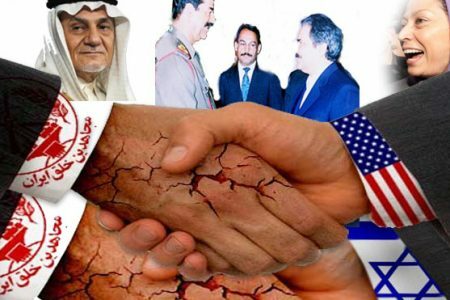 The investment of trillions of dollars and –countless lives– in a regime change invasion is the main strategy of money making for the US warmongers who are in bed with the MKO terrorist cult as well as the terrorists in Syria. The best way for American warmongers to help end the violence is to stop deliberately arming these terrorist factions. However, terrorists such as the MKO have to maintain their survival by buying the support of such warmongers. 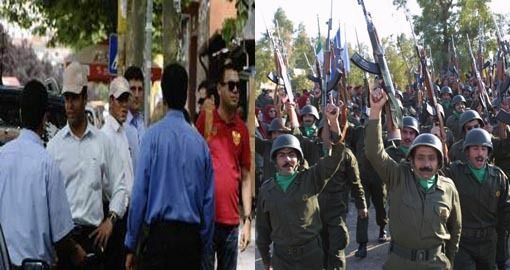 Thus non-violent regime change by the side of the Western Neo-cons do not seem realistic. However, the MKO’s propaganda expert Ali Safavi claims, “Let’s wholeheartedly accept that a foreign military intervention is not the answer for Iran. It is the chants inside not the weapons outside that will make change happen”. 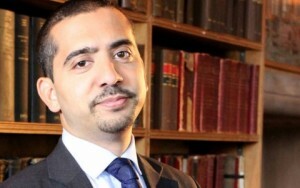 What is “the chant inside” that Ali Safavi is boastful about? Whether they are for the Islamic Republic or against it, Iranians do share one main idea about the MKO: They hate the MKO. Just one example of the demonstration of such hatred was the tweeter trend on the occasion of the group’s gathering in Paris a few months ago. Iranians contributed to #IranHatesMEK to debate those brainwashed or/and bribed authorities who had attended the event. The MKO’s claim of representing the Iranian public opinion is so unrealistic that one may suggest that the group is not living on this planet. Is Ali Safavi so unaware of the aspirations of the Iranian public or is he just making efforts to run the group’s propaganda? 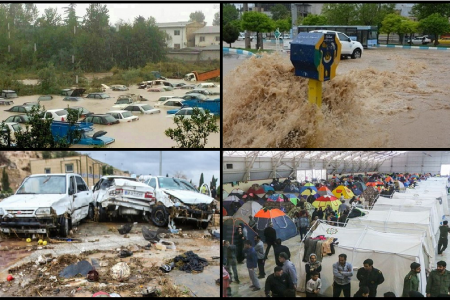 Definitely, Iran is almost the most stable country in the region. It enjoys a well-equipped military force and to tell the truth a large number of loyal soldiers. A war with Iran is very probably not a winning one for the West. That is why Israel has not tried to invade Iran yet–despite it really wants to. Therefore, violent regime change does not seem to be an option for the West although Iran hawks constantly call for it. Non- violent regime change is not even an option; it is a delusion that only the MKO propaganda regime embraces. There is a big mistake often made by certain American politicians: They allegedly are concerned about freedom of Iranian people but fail to understand the nature of a group which, in public, says good things about freedom and democracy but, actually it is committed to violence, human rights abuse and cult-like practices. 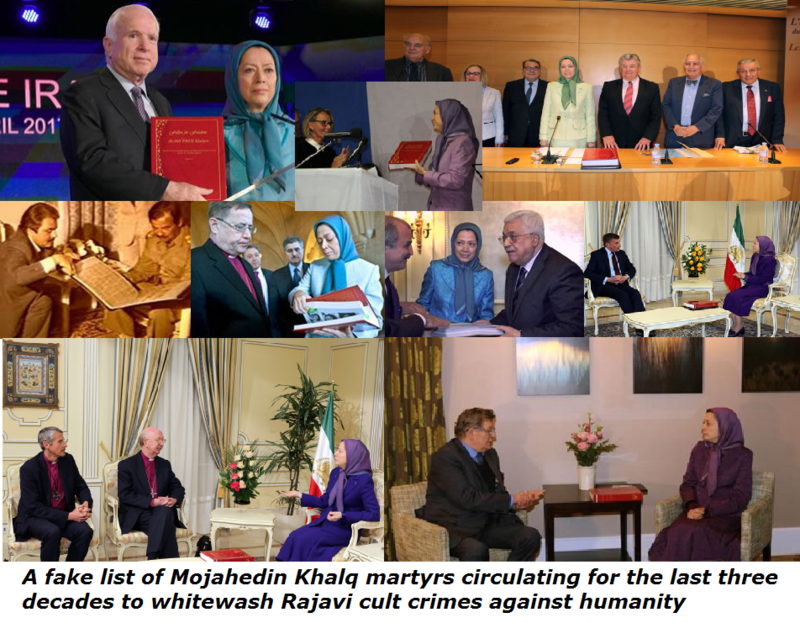 Mujahedin Khalq (MKO, MEK, the Cult of Rajavi) are “skilled manipulators of public opinion”. 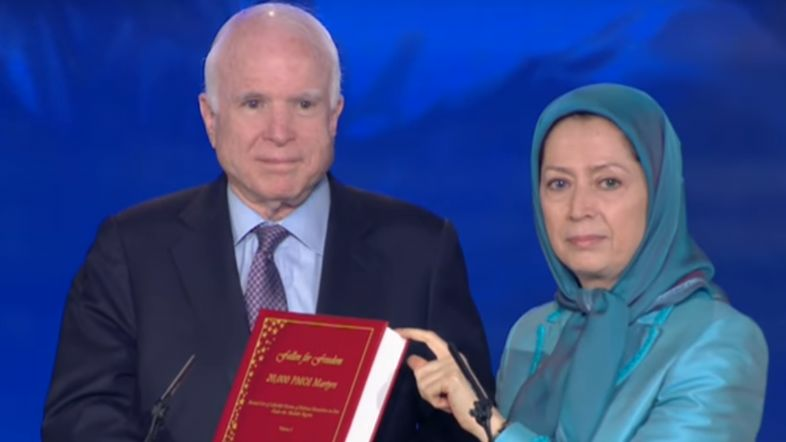 In fact, the organization over which Maryam Rajavi and his disappeared husband have control avoids democracy and cuddles terrorism, dictatorship, and Maoism. All the way in the corridors of the Capitol Hill, MKO agents tell Congressmen, their employees, and other officials what they want to hear: the MKO is the only opposition movement capable of changing the Iranian government and replacing it with a secular democratic government. 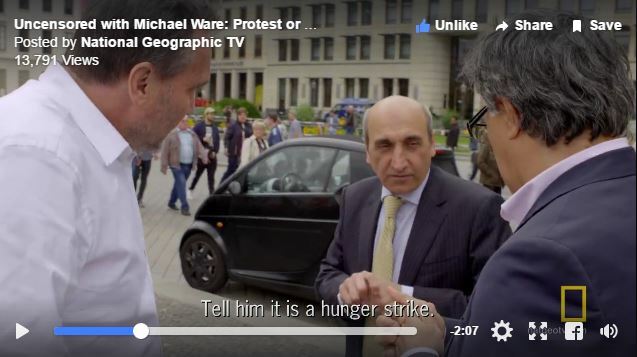 They are hard workers to draw the attention of their targets to the so-called cause of their group; they are very sociable to lawmakers giving out Persian food, Christmas presents and their booklets and posters of misinformation about the life in Iran. Dressed up well, agents of MKO’s lobbying campaign get close to American journalists, politicians, and critics of the Islamic Republic. Maryam Rajavi has increased totalitarian control over its members, particularly after the relocation of the group in Albania –where defection from the group is on the rise. While members reside in the West, the so-called cradle of democracy, the Cult authorities forbid the rank and file from access to any information from the outside world but its own TV channel and publications. The MEK are “masters of propaganda”. Many of its supporters are unaware of its dark history and also what is going on inside the group now. 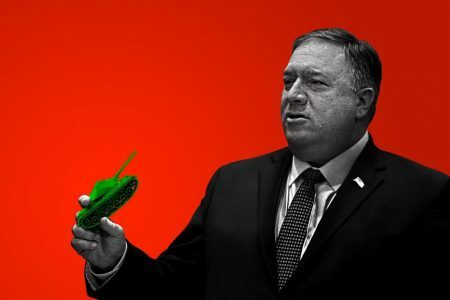 Warmonger think-tanks and conspiracy theorists have accelerated their run against Iranian government enabling the group to project a false image of popular support in Iran where none exist. Biased journalists such as Washington Post correspondents, repeat the fake story of the MKO as the viable alternative of the Islamic Republic, replacing their theories for fact. 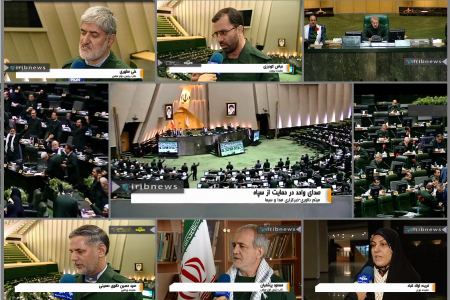 None of them can present the slightest evidence to prove that the MKO is a popular opposition group in Iran and none can assure the audience that the future Iran under the rule of the MKO is a democratic, non-nuclear one. Yet, while the MKO has the support of a number of congressmen and a small number of analysts, it has no support in the power centers of Washington. Nevertheless, the group endeavors to demonstrate its claim of Western support by spending large amounts for luxurious trips of congressmen like John McCain to Europe. Over a hundred years after the establishment of Iran’s Constitutional Revolution, to advocate for the undemocratic Cult o Rajavi and to feed Rajavi’s hunger for power sounds improper. However, many “monsters of the left” use the pro-democracy slogans to achieve their ambitions. 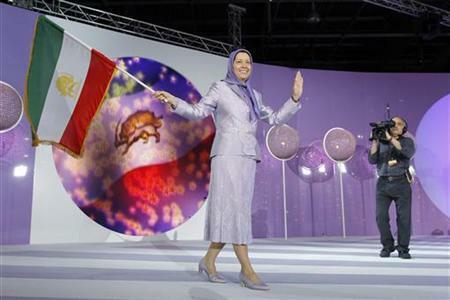 Maryam Rajavi, and her cult of personality are not exception. 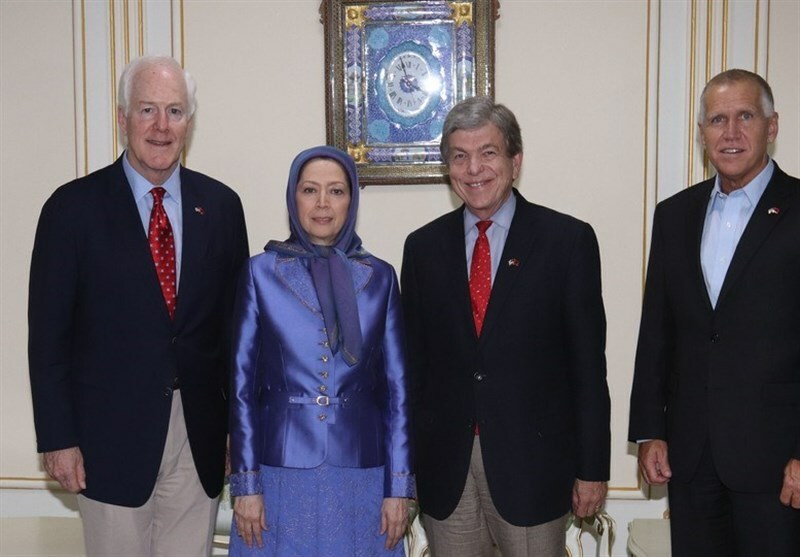 Tirana, Albania, August 12, 2017 – Maryam Rajavi with United States paid Senators. Senator Thom Tillis (R-NC), Senator Roy Blunt (R-MO), and Senator John Cornyn (R-TX). Mariam Rajavi speaks at the annual meeting of the Mojahedin-e Khalq at the Villepinte exhibition center near Paris on July 1, 2017. International political leaders also made speeches to support her. What were a Saudi prince, a former Republican House Speaker and a former Democratic vice-presidential candidate doing together in a suburb of Paris last weekend? Would you be surprised to discover that Prince Turki Bin Faisal, Newt Gingrich and Joe Lieberman were speaking on behalf of a group of Iranian exiles that was officially designated a “Foreign Terrorist Organization” by the United States government between 1997 and 2012? Iran hawks long ago fell head over heels for the Mojahedin-e Khalq, known as the MEK, and loudly and successfully lobbied for it to be removed from the State Department list of banned terror groups in 2012. 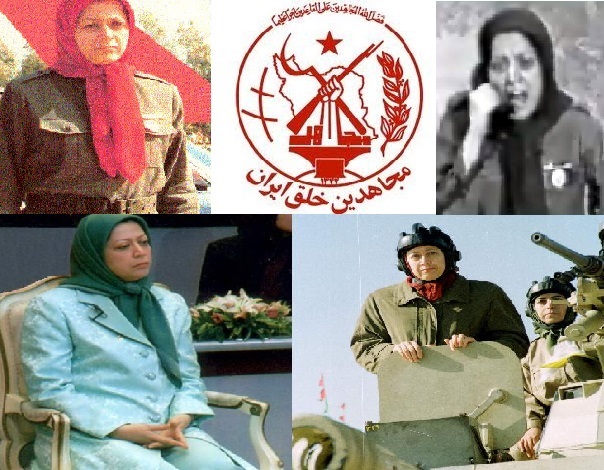 Formed in Iran in the 1960s, the MEK, whose name translates to “Holy Warriors of the People,” was once an avowedly anti-American, semi-Marxist, semi-Islamist group, pledged to toppling the U.S.-backed Shah by force and willing to launch attacks on U.S. targets. 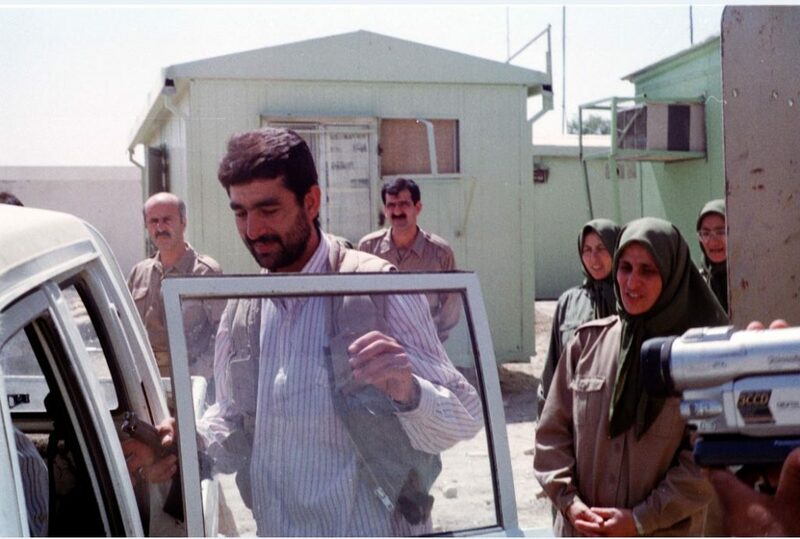 The MEK even stands accused of helping with the seizure of hostages at the U.S. embassy in Tehran; the group condemned the hostages’ release as a “surrender” to the United States. But after the Iran’s clerical rulers turned on the group in the early 1980s, its leaders fled the country and unleashed a series of bombings across Iran. These days, the organization — run by husband and wife Massoud and Maryam Rajavi, though the former’s whereabouts are unknown and he is rumored to be dead — claims to have renounced violence and sells itself to its new American friends as a 100 percent secular and democratic Iranian opposition group. 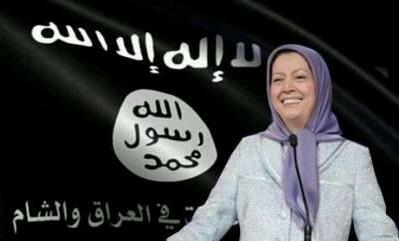 The biggest problem with the MEK, however, is not that it is a former terrorist organization. Plenty of violent groups that were once seen as “terrorists” later abandoned their armed struggles and entered the corridors of power — think of the Irish Republican Army or Mandela’s African National Congress. Nor is it that the MEK lacks support inside of the Islamic Republic, where it has been disowned by the opposition Green Movement and is loathed by ordinary Iranians for having fought on Saddam Hussein’s side during the Iran-Iraq war. You think only people inside of dictatorships are brainwashed? 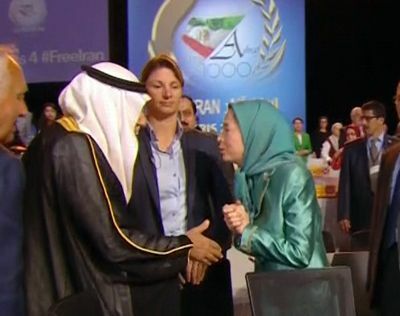 A 2009 reportby the RAND Corporation noted how MEK rank-and-file had to swear “an oath of devotion to the Rajavis on the Koran” and highlighted the MEK’s “authoritarian, cultic practices” including ‘mandatory divorce and celibacy” for the group’s members (the Rajavis excepted, of course). “Love for the Rajavis was to replace love for spouses and family,” explained the RAND report. You might understand why a Saudi prince, former New York mayor Rudy Giuliani, or uber-hawk and former Bush administration official John Bolton — who all attended the Paris rally — might be willing to get behind such a weird collection of fanatics and ideologues. But what would make a liberal Democrat from Vermont such as Howard Dean — who has suggestedMaryam Rajavi be recognized as the president of Iran in exile — want to get into bed with them? 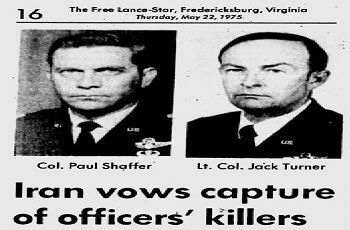 Or Georgia congressman and civil rights hero John Lewis, who spoke out in favor of the MEK in 2010? Could it be because of the old, if amoral, adage that “the enemy of my enemy is my friend”? Perhaps. Could it be the result of ignorance, of senior U.S. figures failing to do due diligence? Maybe. Or could it be a consequence of cold, hard cash? “Many of these former high-ranking U.S. officials — who represent the full political spectrum — have been paid tens of thousands of dollars to speak in support of the MEK,” revealed a wide-ranging investigation by the Christian Science Monitor in 2011. In Washington, D.C., money talks. 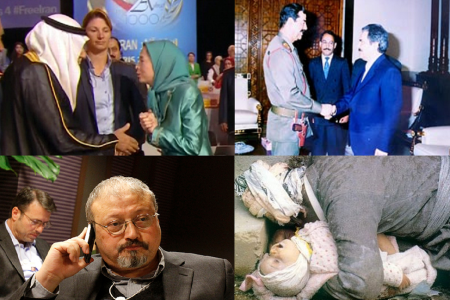 Whether you’re a Democrat like Dean or a Republican like Bolton, a former head of the CIA like Porter Goss or an ex-head of the FBI like Louis Freeh, what seems to matter most is that the MEK can cut fat checks. Take Gingrich, who once lambasted Barack Obama for “bowing to the Saudi king” but has himself been caught on camera bowing to Maryam Rajavi. The former House speaker bizarrely compared Rajavi to George Washington in his speech in Paris over the weekend. 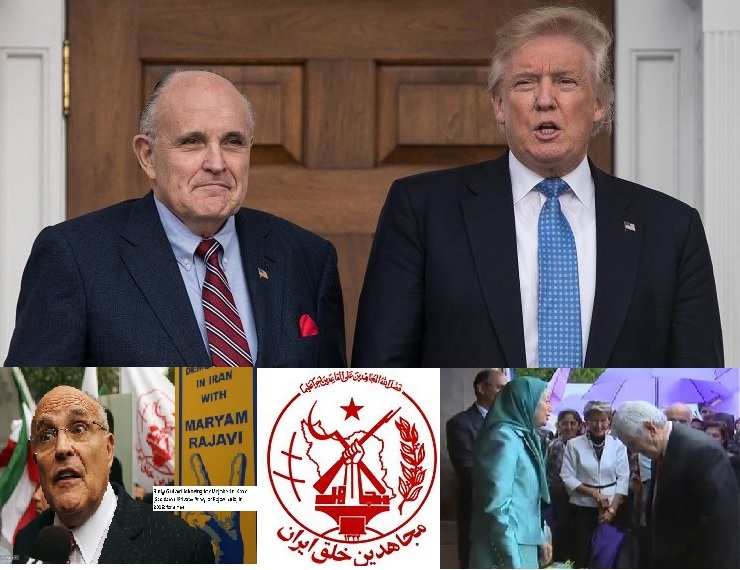 Or Giuliani, “America’s Mayor” and self-styled anti-terror hawk, who nevertheless has had no qualms accepting thousands of dollars since 2010 to shill for a group that murdered six Americans in Iran in the mid-1970s; joined with Saddam Hussein to repress Iraq’s Kurds in the early 1990s; allegedly worked with Al Qaeda to make bombs in the mid-1990s; and fought against U.S. troops in Iraq in 2003. Meanwhile, regime change in Tehran is very much back on the agenda in Donald Trump’s Washington. Candidate Trump, who blasted George W. Bush’s Middle East wars of aggression, has been replaced by President Trump, who appointed Iran hawks such as James Mattis and Mike Pompeo to run the Pentagon and the CIA, respectively; counts MEK shills such as Giuliani and Gingrich among his closest outside advisers; and appointed Elaine Chao, who took $50,000 from the Rajavis for a five-minute speech in 2015, to his cabinet. That way madness lies. Have U.S. political, intelligence, and military elites learned nothing from their Mesopotamian misadventure and the disastrous contribution of Iraqi exiles such as Chalabi? Well, the brainwashed fanatics of the MEK make the INC look like the ANC. Top photo: Mariam Rajavi speaks at the annual meeting of the Mojahedin-e Khalq at the Villepinte exhibition center near Paris on July 1, 2017. International political leaders also made speeches to support her. 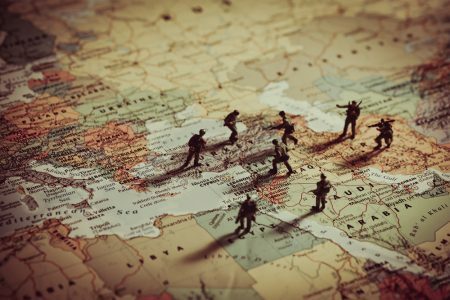 European counter-terror experts warn that as ISIS is pushed into a smaller and smaller theatre of operations in the Middle East, there will certainly be blowback as foreign fighters return to their own countries. In this context, the ISIS terrorist attacks in Tehran expose a much morecomplex situation which will have lasting repercussions in the West unless it is tackled at source. That includes zero tolerance for any messages promoting violent extremism. 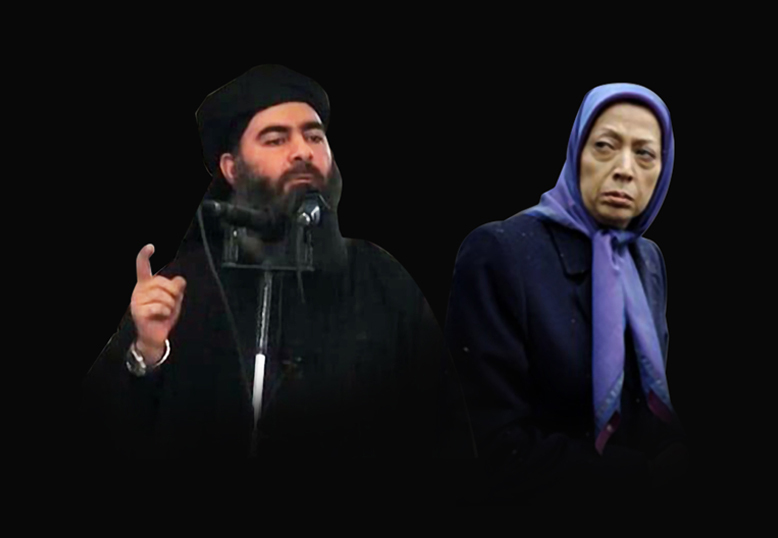 What worries experts is that ISIS almost certainly gained the expertise it used to carry out the attacks in Iran from the exiled Mojahedin Khalq (MEK) organisation. 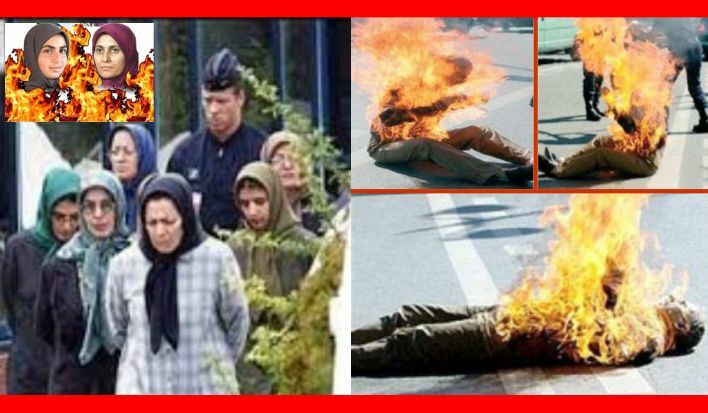 The MEK has a three-decade history of terrorist violence against Iran and continues to cling to an agenda which promotes violent regime change. 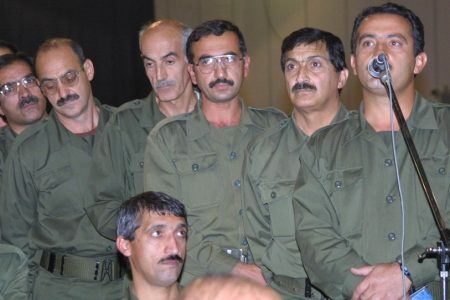 Whilst the MEK is widely regarded as a defunct force due to the age and health of its fighters, experts warn that although the MEK no longer constitutes a fighting force, the members remain fully radicalised and capable of acting as logistics facilitators and training and planning consultants for any other terrorist group. Certainly, they are all capable of conducting suicide missions. 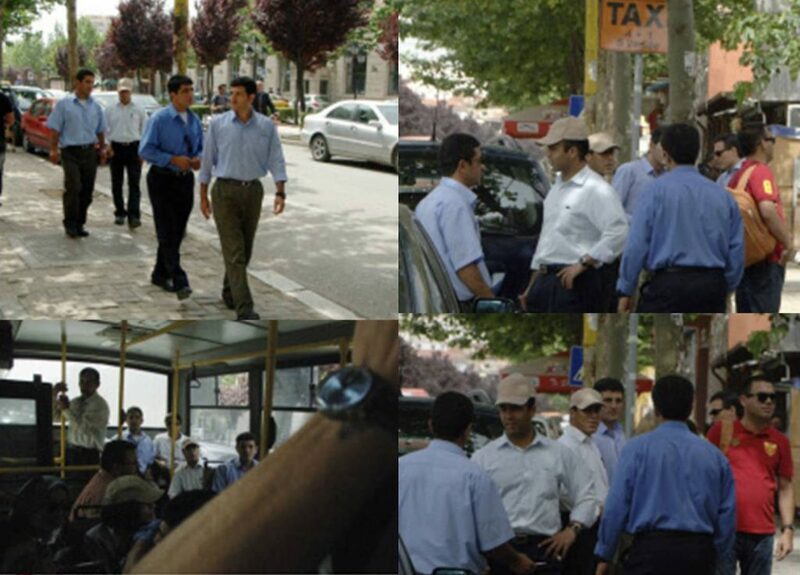 Since America ensured the MEK were transferred from Iraq to Albania this danger has become more acute. Albania is still struggling to overcome the political and media corruption, drug crime, gun smuggling and people trafficking which will prevent it joining the European Union anytime soon. 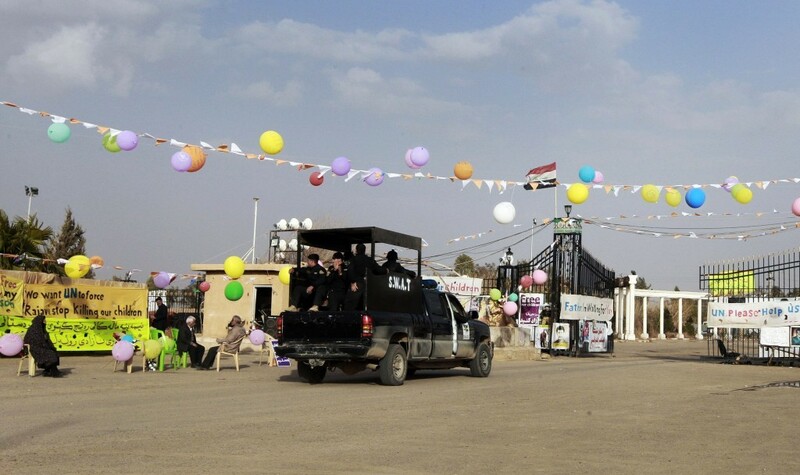 The presence of 3000 radicalised MEK members in a country known as a route between Europe and Syria for modern terrorist forces is not just controversial, it is dangerous. Even so, the real danger does not lie in Albania; it is a NATO country dominated by the US and the MEK can and will, therefore, be contained and re-purposed for whatever the US needs them for. 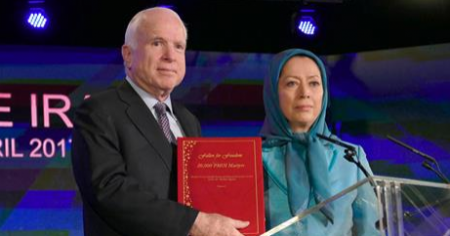 The recent visits to the MEK by John Bolton and Senator John McCain are an indication of this agenda. The real danger lies in France and Western Europe. The MEK has been headquartered for the past thirty-six years in Auvers-sur-Oise just outside Paris. 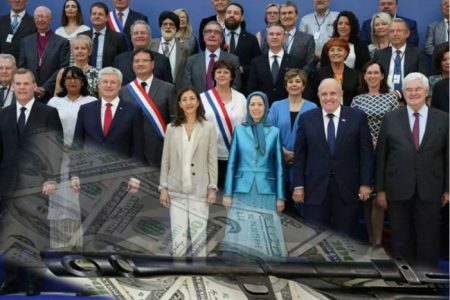 This year, as always, the MEK will use its front name the ‘National Council of Resistance of Iran’ to hire the Villepinte salon outside Paris, pay disproportionate speakers fees to advocates and round up a paid audience to wave flags and dutifully applaud the ‘regime change’ speeches. This annual event is known inside the MEK as a celebration of armed struggle – the raison d’être of the MEK group. 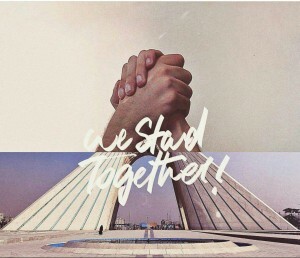 This year the event is being held on July 1, but it was originally timed to celebrate the MEK’s challenge to Ayatollah Khomeini’s leadership on 30th Khordad (June 21, 1981). These dates matter. 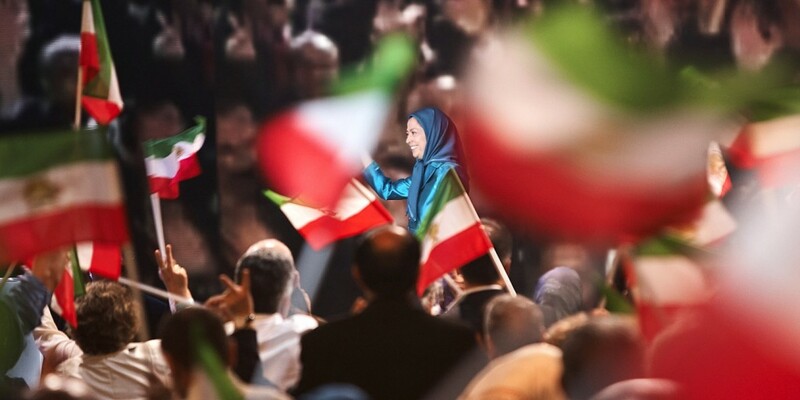 Analysts now say that the MEK has moved the date of the celebration to distance it from the association with defeat – after the coup d’état failed, senior MEK leaders fled to France with CIA backing and left the rank and file to face mass arrests and executions inside Iran. Instead the new date is closer to what the MEK regards as a major victory in its three decade long terrorist campaign against Iran. 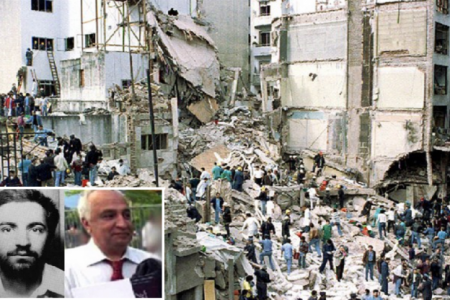 On the 7th Tir (June 28, 1981) MEK operatives blew up the headquarters of the Islamic Republic Party in Tehran during a meeting of party leaders. 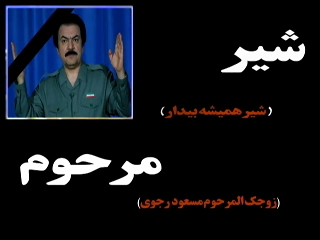 Seventy-three leading officials of the Islamic Republic were killed. This scenario – Iran as the world’s leading sponsor of terrorism – has been promoted ad nauseamby the MEK throughout western political circles. The work of national parliaments as well as the European Parliament have been held hostage to this narrative. 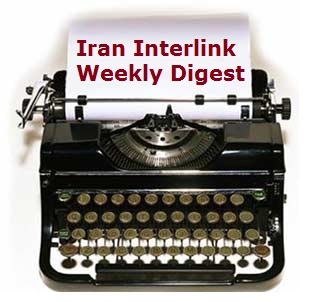 Normalisation of relations with Iran following the nuclear agreement have been stymied by the MEK. Indeed, MEK bullying and intimidation in pursuit of this agenda was recently discussed in the European Parliament. 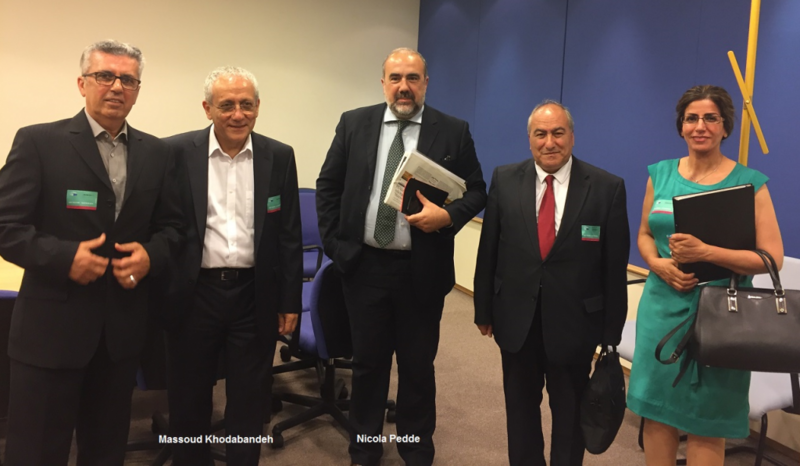 The MEPs concluded that Europe cannot properly challenge Iran’s human rights situation as long as a group which promotes regime change and abuses the human rights of its own membersartificially imposes itself centre stage of these discussions. The fact is that over the past year the western political landscape has changed dramatically. 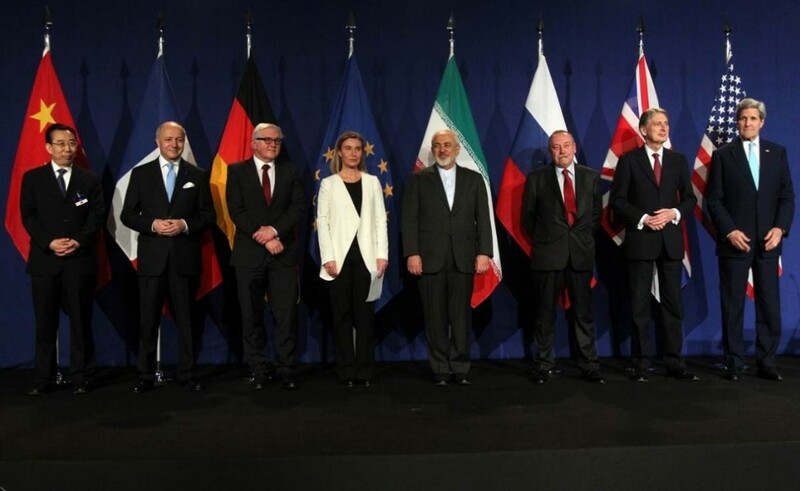 Two distinct blocs have emerged: a cohort of anti-Iran countries including the US, UK, Israel and Saudi Arabia on one side blindly pursuing regime change against Iran apparently at all costs, and Europe – minus the UK after Brexit – (and incidentally Russia and China) pursuing rapprochement and trade opportunities. In the past, of course, it was pointless asking these questions – even though they were asked as permanent unresolved issues. Removing the MEK from France and other European countries was problematic – expelling them to Iraq was impossible because their human rights could not be guaranteed. But in 2016 the Americans facilitated the MEK’s removal from Iraq to safety in Albania. There is no reason to believe that Europe cannot similarly facilitate the safe removal of the MEK leaders from France and other European countries to Albania. The MEK leader Maryam Rajavi has already spent several weeks in Tirana. There is nothing to prevent her setting up a permanent headquarters there with further help from the Americans. President Emmanuel Macron’s new centrist movement has won a large majority in the French parliament giving him a strong hand to play. He already revealed himself to be a shrewd and masterful challenger in international relations almost before opening his mouth when he out manoeuvred President Donald Trump at the NATO summit in Brussels in May. Perhaps the time is finally ripe for a new appraisal of what zero tolerance means for France. The MEK’s messages promoting violent regime change should no longer be tolerated. Ekspertët evropianë kundër terrorizmit paralajmërojnë se ndërsa ISIS është futur në një teatër gjithnjë e më të vogël të operacioneve në Lindjen e Mesme, me siguri do të ketë të papritura kur luftëtarët e huaj të kthehen në vendet e tyre. Në këtë kontekst, sulmet terroriste të ISIS-it në Teheran ekspozojnë një situatë shumë më komplekse e cila do të ketë pasoja të përhershme në Perëndim, nëse nuk trajtohet që në burim. Kjo përfshin tolerancë zero ndaj çdo mesazhi që promovon ekstremizmin e dhunshëm. Ajo që shqetëson ekspertët është se ISIS përvetësoi pothuajse me siguri ekspertizën që përdorej për të kryer sulmet në Iran nga organizata e mërguar Muxhahedin e Halq (MEK). MEK ka një histori prej tre-dekadash të dhunës terroriste kundër Iranit, dhe vazhdon të kapet në një axhendë e cila nxit ndryshimin e dhunshëm të regjimit. Përderisa MEK konsiderohet gjerësisht si një forcë e vdekur për shkak të moshës dhe shëndetit të luftëtarëve të saj, ekspertët paralajmërojnë se megjithëse MEK nuk përbën më një forcë luftimi, anëtarët mbeten plotësisht radikalizues dhe të aftë për të vepruar si lehtësues logjistikë dhe konsulentë trajnimi dhe planifikimi për çdo grup tjetër terrorist. Sigurisht, ata janë të gjithë të aftë për kryerjen e misioneve vetëvrasëse. Meqënëse Amerika siguroi që MEK-u të transferohej nga Iraku në Shqipëri, ky rrezik u bë më akut. Shqipëria ende po lufton për të kapërcyer korrupsionin politik dhe mediatik, krimin e drogës, kontrabandën e armëve dhe trafikimin e njerëzve, të cilat do ta pengojnë hyrjen në Bashkimin Evropian në çdo kohë. Prania e 3,000 anëtarëve të radikalizuar të MEK-ut në një vend të njohur si një rrugë midis Evropës dhe Sirisë për forcat terroriste moderne nuk është vetëm e diskutueshme; është e rrezikshme. Megjithatë, rreziku i vërtetë nuk qëndron në Shqipëri; Shqipëria është një vend i NATO-s i mbizotëruar nga SHBA-ja, dhe kështu MEK-u mund dhe do të përfshihet e rivendoset për çfarëdolloj gjëje që SHBA-ja ka nevojë për të. Vizitat e fundit nga John Bolton dhe senatori John McCain janë një tregues i kësaj axhende. Rreziku i vërtetë qëndron në Francë dhe në Evropën Perëndimore. MEK ka qenë i vendosur për tridhjetë e gjashtë vitet e fundit në Auvers-sur-Oise jashtë Parisit. Këtë vit, si gjithmonë, MEK do të përdorë emrin e tij të parë ‘Këshilli Kombëtar i Rezistencës së Iranit’ për të marrë me qera sallonin Villepinte jashtë Parisit, për t’u paguar avokatëve tarifat joproporcionale të folësve dhe për të siguruar një audiencë të paguar për të valëvitur flamuj dhe për të duartrokitur fjalimet e ndryshimit të regjimit. Kjo ngjarje vjetore njihet brenda MEK-ut si një festë e luftës së armatosur – arsyeja e ekzistencës së grupit MEK. Këtë vit ngjarja do të mbahet më 1 korrik, por fillimisht ishte caktuar për të festuar sfidën e MEK-ut ndaj udhëheqjes së Ayatollah Khomeinit në Khordadin e 30-të (21 qershor 1981). Këto data janë të rëndësishme. Analistët tani thonë se MEK e ka ndryshuar datën e kremtimit për ta larguar atë nga lidhja me humbjen – pasi grushti i shtetit dështoi, udhëheqësit e lartë të MEK-ut ikën në Francë me mbështetjen e CIA-s dhe i lanë njerëzit e thjeshtë për t’u përballur me arrestime masive dhe ekzekutime brenda Iranit. 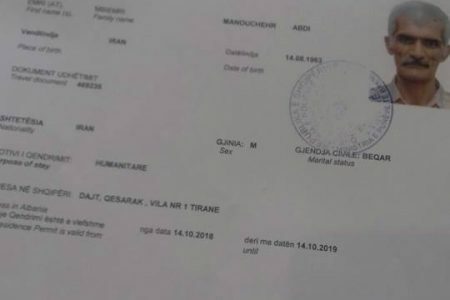 Përkundrazi, data e re është më afër asaj që MEK e konsideron si një fitore e madhe në fushatën terroriste të tre dekadave kundër Iranit. Më 7-të Tir (28 Qershor 1981), operativët e MEK shpërthyen selinë e Partisë së Republikës Islamike në Teheran gjatë një takimi të udhëheqësve të partisë. Shtatëdhjetë e tre zyrtarë udhëheqës të Republikës Islamike u vranë. Rëndësia e kësaj bëhet e qartë kur lidhim besimet kryesore të MEK-ut me sulmet e fundit terroriste në Teheran. Mesazhi që ngjarja e MEK-ut u jep vëzhguesve është se modeli i sulmeve të ISIS-it në Teheran ishte i lavdishëm dhe i drejtë dhe është një përgjigje legjitime për një skenar në të cilin Irani është sponsori kryesor i terrorizmit në botë. (Sa për ta ditur, as MEK as Arabia Saudite nuk i dënuan sulmet). Ky skenar – Irani si sponsori kryesor i terrorizmit – është promovuar nga MEK në të gjitha qarqet politike perëndimore. Puna e parlamenteve kombëtarë si dhe Parlamenti Europian janë mbajtur peng i kësaj narrative. Normalizimi i marrëdhënieve me Iranin pas marrëveshjes bërthamore është penguar nga MEK. Në të vërtetë, ngacmimi dhe kërcënimi i MEK-ut në ndjekje të kësaj axhende u diskutua kohët e fundit në Parlamentin Evropian. 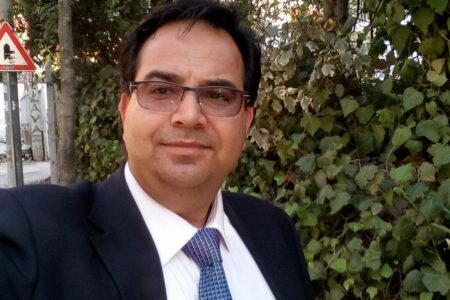 Deputetët përfunduan se Evropa nuk mund ta sfidojë siç duhet situatën e të drejtave të njeriut të Iranit për sa kohë që një grup që promovon ndryshimin e regjimit dhe abuzon me të drejtat e njeriut të anëtarëve të vet, imponon vetë artificialisht fazën qendrore të këtyre diskutimeve. Fakti është se gjatë vitit të kaluar peizazhi politik perëndimor ka ndryshuar në mënyrë dramatike. 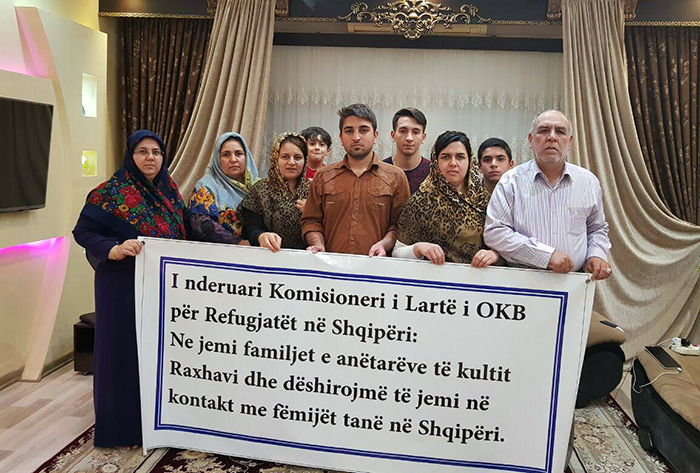 Dy grupe të dallueshme janë shfaqur: një grup i vendeve anti-Iran, duke përfshirë SHBA-në, Mbretërinë e Bashkuar, Izraelin dhe Arabinë Saudite nga njëra anë, që me sa duket ndjekin verbërisht ndryshimet e regjimit kundër Iranit me çdo kusht, dhe Evropa – pa Mbretërinë e Bashkuar pas Brexit – (dhe aksidentalisht Rusia dhe Kina) që po ndjekin afrimin dhe mundësitë tregtare. Në këtë kontekst, vëmendja për veprim duhet të bjerë në Francë, në shtëpinë e selisë së MEK. Ne duhet të pyesim qeverinë franceze se pse këta njerëz që i përkasin bllokut të ndryshimit të regjimit vazhdojnë të marrin me qera tokën tuaj pas 36 vjetësh? Çfarë kanë bërë amerikanët apo MEK-u për ju, që ia vlen reputacioni i keq që i bashkëngjitet mbështetjes së këtij grupi? Cili është benefiti i të pasurit MEK-un në vendin tuaj? Çfarë implikimesh ka prania e tij e vazhdueshme në politikën tuaj të jashtme dhe të tregtisë? Si mundet Republika të vazhdojë ta lejojë këtë grup të nxisë ekstremizmin dhe terrorizmin e dhunshëm në tokën franceze? Në të kaluarën, natyrisht, ishte e pakuptimtë t’i bëje këto pyetje – edhe pse ato ishin pyetur si çështje të përhershme të pazgjidhura. Heqja e MEK-ut nga Franca dhe vende të tjera evropiane ishte problematike – dëbimi i tyre në Irak ishte i pamundur për shkak se të drejtat e tyre njerëzore nuk mund të garantoheshin. Por në vitin 2016, amerikanët ndihmuan largimin e MEK-ut nga Iraku në Shqipëri. Nuk ka arsye të besohet se Evropa nuk mund të lehtësojë në mënyrë të ngjashme largimin e sigurt të udhëheqësve të MEK-ut nga Franca dhe vendet e tjera evropiane në Shqipëri. Udhëheqësja e MEK-ut, Maryam Rajavi ka kaluar tashmë disa javë në Tiranë. Nuk ka asgjë që të parandalojë ngritjen e një selie të përhershme atje me ndihmë të mëtejshme nga amerikanët. Lëvizja e re qëndrore e Presidentit Emmanuel Macron ka fituar një shumicë të madhe në parlamentin francez, duke i dhënë atij një dorë të fortë për të luajtur. Ai tashmë e shpalli veten si një sfidues të zgjuar dhe mjeshtëror në marrëdhëniet ndërkombëtare kur ai ia mori në kthesë presidentit Donald Trump në samitin e NATO-s në Bruksel në maj. Ndoshta për Francën ka ardhur më në fund koha për një vlerësim të ri të asaj që nënkupton zero tolerancë. Mesazhet e MEK-ut që promovojnë ndryshimin e regjimit të dhunshëm nuk duhet të tolerohen më.